A lot of fuss came about when Google+ came to be over the summer. A lot of hype went into this platform, thinking it could rival Facebook. 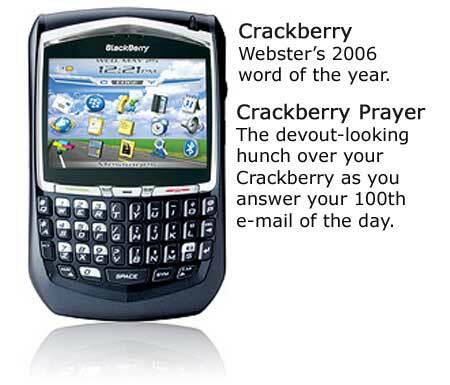 But right now, statistics show people are signing up but not using the service as much as intended. As as shown by this picture, it seems as though the only people using Google+ are Google employees. 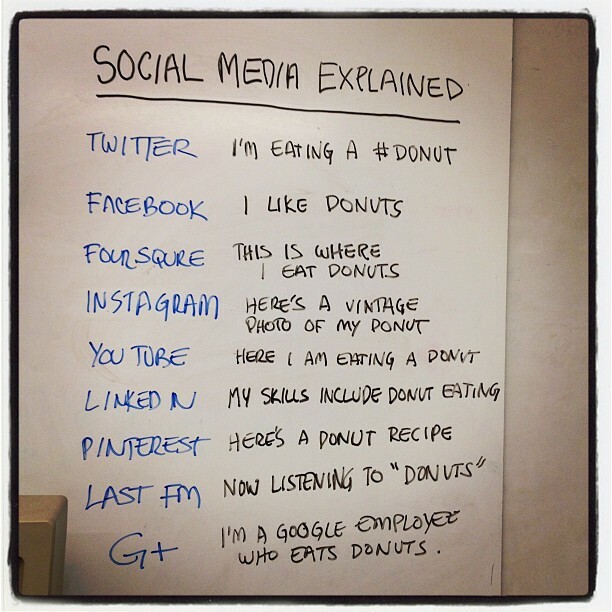 The world of social media explained with donuts. Notice the last one. In glancing at the above photo, you notice that there are different sort of “sectors” in social media. Facebook is a purely social platform for people to connect with their friends. Foursquare, is one I really don’t understand to tell you the truth but it allows people to check in at places. Instagram and Pinterest are very similar in my opinion, with Instagram only serving on mobile devices and having filters to play with pictures. We all know YouTube by this point. LinkedIn is like a professional Facebook. Last FM is self-explanatory (though I would have put Spotify instead of that here). After going through that, you may notice I skipped Twitter at the top. That’s because I worry about Google+ going the same way as their Buzz platform which was eerily similar to Twitter. In fact my first buzz posting which I put up without reading anything about it was that it looks a lot like twitter. To which I’m pretty sure I got a lot of people ripping on me for that. But the real reason I wrote that is because well, I had no clue what Buzz was supposed to be at that point. 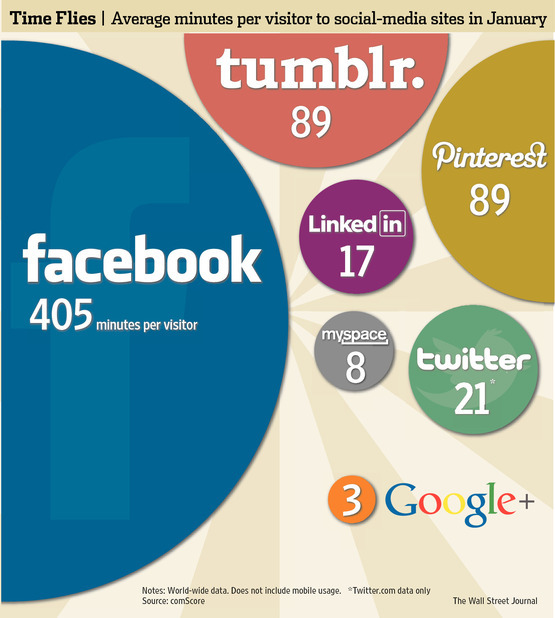 Google+ even comes below Myspace in average minutes per visitor for the month of January. And everyone thought Myspace was dead! What’s more surprising is how Pinterest has grown, even more than Twitter and Linkedin. While not everyone may agree with Linkedin, it’s purpose is certainly different from Facebook. My dad and uncle would never consider joining Facebook (at least I think for my uncle), but they’re both on Linkedin as they both have professional post-graduate degree and operate in that sector. Also, Twitter, Linkedin, Pinterest, and tumblr are able to connect directly with Facebook. These connections actually increase Facebook’s influence, even respective to their “competitors”. But Google+ is more of a direct competitor to Facebook. Additionally (non Google employees), how many friends do you have on Facebook and how many connections do you have on Google+? I don’t want to disclose numbers but between Google+, Linkedin, Twitter, and Facebook, the lowest number of connections I have is on Google+. Twitter is hard to judge but on both Linkedin and Facebook, I know I can post and have almost 1000 people aware of my post. This isn’t to say that Google+ is doomed. They just need a better strategy. As I stated before, Facebook can go down. And if they were, wouldn’t it be Google+ to take its place?